I was starting to think that Great Britain had locked up all the good political parties. 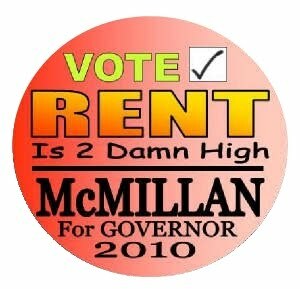 So imagine my delight to see that, in last night's New York gubernatorial debate, the only candidate who made any sense whatsoever was Jimmy McMillan of The Rent Is 2 Damn High Party. 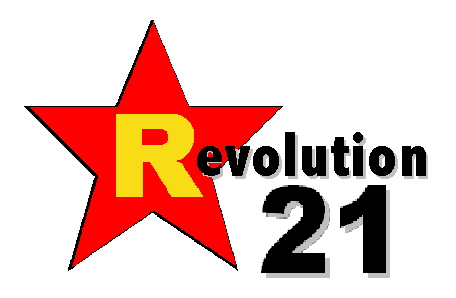 Not only that, if you go to the party's website, you'll be greeted by the most danceable campaign theme song ever. A stone-cold jam. That's right, the rent is too DAMN high. Especially on landless peasants. Labels: culture, election, government, governor, New York, Parliament, politics, U.K. Your Daily '80s: Dance Fever! The chains 'businessmen' forge in life. . . .
Was it over when the Vols bombed Pearl Harbor? Your Daily '80s: You. All. SUUUUUUUCCCK! 3 Chords & the Truth: Wassup, moon? Your Daily '80s: Before there was AOL. . . .
We hate us! We really hate us! Can a Catholic swill that kind of tea? Obamma showinge his treu collors!!! Your Daily '80s: How'd that work out for you?